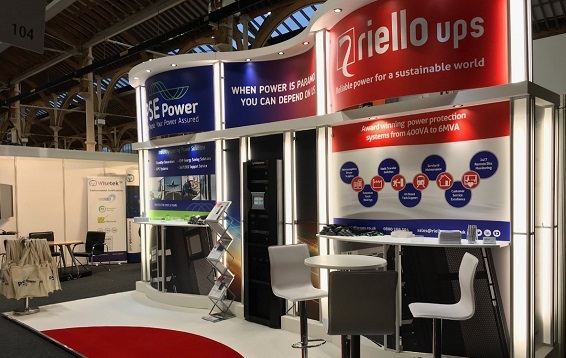 Last month, the Riello UPS team attended a string of leading industry events, including Smart Factory Expo and Data Centres Ireland. The UK’s biggest showcase for Industry 4.0 technologies, Smart Factory Expo took place in Liverpool and saw more than 4,000 visitors pass through its doors. Our team were on hand to discuss the expansion of the manufacturing and industrial sectors, as well as the importance of having a robust power infrastructure in place. We had a number of our most innovative products to-date on the stand, including the new Sentinal Dual. It was then a quick hop over the Irish Sea to Dublin to join new reseller, PSE Power, at Data Centres Ireland. Delegates were welcomed on to the stand and given an ‘access all areas’ look at the award-winning modular UPS Multi Power. As Ireland’s largest independent supplier of power protection and energy management solutions, PSE Power has access to our complete range of uninterruptible power supplies and power management solutions, meaning that they can deliver the highest level of customer service, technical expertise, and reliable power protection. With a number of events already confirmed for the coming months, including Smart Industry Expo in April 2018 is set to be another exciting year, jam-packed with events so an eye out for Riello UPS coming to a city near you!